These Italian natural supplements are 15% off through April 24th, 2019! Discover the concentrated power of selected raw materials and refreshing bergamot. 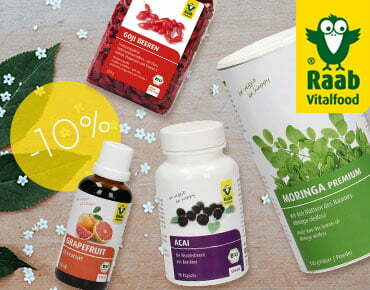 SAVE 10% on the Raab Vitalfood brand- your reliable partner for nutritional supplements and more! Sale valid until 28.04.2019. 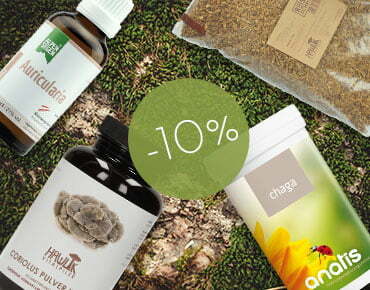 Save 10% on products from the Vital Mushrooms category! Sale valid through April 24th, 2019. 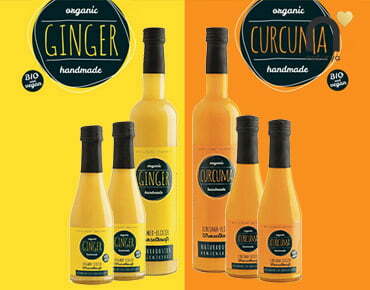 Discover organic & vegan, handmade juices based on natural substances- for intelligent enjoyment! Obsthof Retter 15 + 3 FREE! Pomegranate juice is rich in antioxidants- start your year right with fruit juice by Obsthof Retter! Stock up accordingly - with your order of 15 bottles get 3 more for free! Whether you're looking for superfoods or superfood enriched breakfast boosters - Naturya is always a great choice! Get to know their new breakfast products! Geonado's Energy Sole shoe inserts come with THE patented power chip. The lightweight leather and breathable cork inserts are 25% OFF through April 30th! Subscribe today and receive the latest nutrition and lifestyle news and updates, as well as special offers and deals by e-mail. More and more people complain of insomnia - here are a few quick tips for getting better sleep. Spring fatigue affects every third person. Here are some tips on how to feel energised again! Christmas should be a wonderfully quiet time, but unfortunately, our busy lives often get in the way.